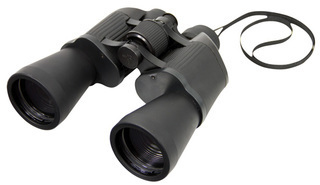 Big & powerful 10x50 binoculars for the serious watcher. With black 600D carry case and gloss black gift box. Field 5.7°, 99m/1000m.